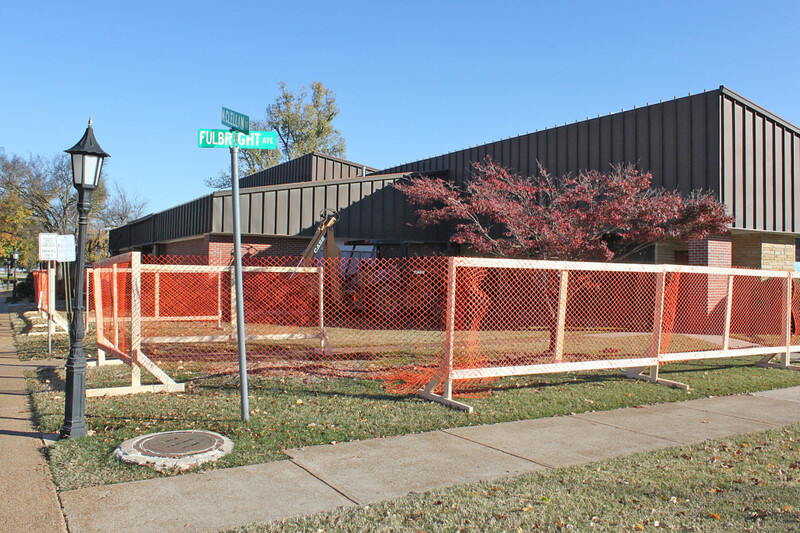 Construction has begun on the expansion and renovation of Williams Baptist College’s Mabee-Gwinup Cafeteria. The new Billie Harty Dining Room is being added to the existing structure and is expected to double capacity of the student dining area. The 2,100 square foot addition is being built on the southwest side of the cafeteria, where it will adjoin the existing Sulcer Dining Room. The project will also include extensive renovation of the current kitchen and serving area. When completed, the facility will seat 250 comfortably. The project is expected to cost just under $1 million and be completed by this summer. The student dining area will be closed during the spring semester due to construction. In the meantime, students will be served in Moody Dining Room, which ordinarily serves as a banquet hall, at the north end of the cafeteria building. “The Billie Harty Dining Room will provide much needed space for a growing number of resident students, and it will also significantly improve the overall student dining experience at Williams,” said WBC President Dr. Tom Jones. The room is named for Billie Harty, late wife of N.B. Harty of Dexter, Mo. A gift from N.B. Harty is funding a major portion of the cafeteria project. Brackett-Krennerich Architects of Jonesboro designed the expansion, and Clark General Contractors of Walnut Ridge is handling construction.